MOSES LAKE — The third Mitsubishi Aircraft Corp MRJ regional jet rolled up the 65,000-square-foot hangar at Grant County International Airport as light dwindled and the temperatures dropped about 4:30 p.m. on Dec. 19. Flight crew members waved it in as Mitsubishi flight test employees rubbed their hands and stomped their feet trying to stay warm in a temperature around 20, that felt closer to 2 degrees. The aircraft, MRJ No. 2, is the third of four MRJ-90s, which will be flight-tested at Grant County International Airport. Like the second jet, it took the southern route from Nagoya (Japan) Airfield Wednesday via Guam International Airport, Majuro International Airport in Republic of the Marshall Islands, Honolulu International Airport and San Jose International Airport. It was expected to arrive in the Columbia Basin sometime on Saturday, but was delayed in Honolulu because of weather conditions. Mitsubishi Heavy Industries plans to carry out 2,500 hours of flight testing to gain the certification needed to fly commercially. The first two MRJs — Japan’s first homegrown jet airliner — have been in the air since their arrival in September and November, respectively. With the coming of the third aircraft, they will push forward with flight testing. Mitsubishi has received 223 firm orders for its new regional jet, according to a report from the Puget Sound Business Journal. The fourth MRJ-90 is expected to arrive in Moses Lake sometime after the first of the year. Mitsubishi Aircraft Corporation and Mitsubishi Heavy Industries, Ltd. is committed to achieving steady progress in flight tests with the assistance of the Moses Lake Flight Test Center at Grant County International Airport, Seattle Engineering Center and Mitsubishi Aircraft Headquarters in Japan. AeroTEC president and CEO Lee Human was in Moses Lake for historic arrival of the first jet. He said the flight testing on the MRJ is not only a milestone, but Grant County International Airport is one of the best places in the world to achieve results. 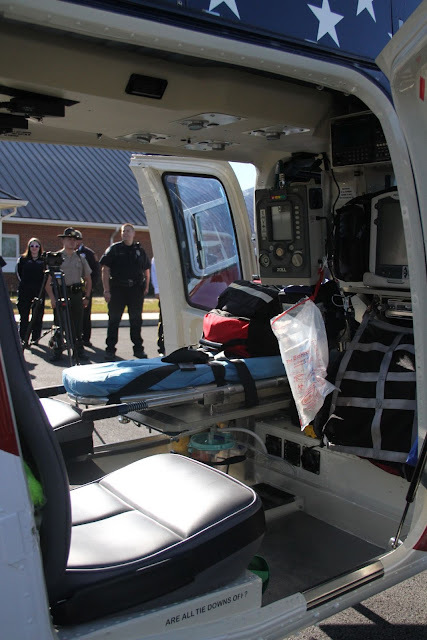 TIFTON — Air Evac EMS has completed its first mission after taking possession of its temporary facility at Tift County Fire/Rescue Station 51 on Dec. 21. 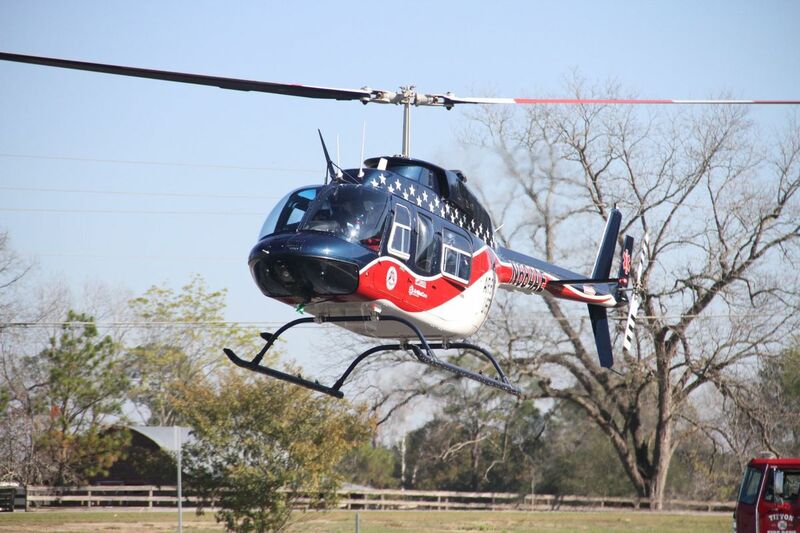 “Air Evac has been a public safety partner of ours for the last eight or 10 years,” said Jason Jones, director of public safety for Tift County. They have previously operated out of bases in Douglas and Cordele, according to Jones. Representatives from the company approached Jones about six months ago, he said, and asked about the possibility of opening a base in Tift County. Tift County reached out to the Tift County Development Authority, who agreed that building a permanent base in Tifton would be beneficial. The permanent facility will be located on Tifton Eldorado Road, near Station 51. They have already started clearing the land where the facility will be located, and are looking at a March 2017 open date. Until the permanent facility is built, Air Evac will be leasing space at Station 51 for their 15 employees, some of whom are current part time or former full time medics employed by Tift County. The helicopter will remain on site unless there is inclement weather, at which time it will be moved to the airport. 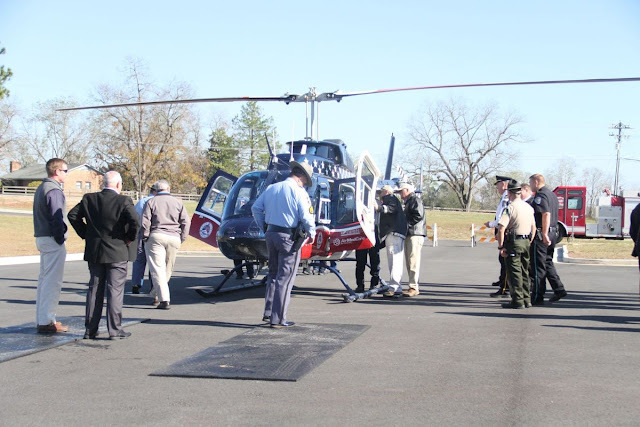 “This gives us the opportunity, when we have an incident that involves trauma, we can fly them straight from the scene to Macon or Thomasville to get to that trauma center to get them the help they need in as timely a manner as possible,” said Jones. Tifton Police Chief Buddy Dowdy was very positive about the arrival of Air Evac. “This will benefit the citizens of Tift County and anyone passing through. This is a life saving device," said Georgia State Patrol Post Commander for Tifton Post 13, SFC Duane Massey. “You have a golden hour in trauma situations where an ambulance just can’t fight the traffic to get you to the necessary trauma center, and this can do that,” Massey said. County Fire Chief Joey Fowler was also on hand for the event, and was also positive about the benefits of having Air Evac in Tift County. “We fly people more often than people realize, but it’s all about taking care of the person that’s been involved in the accident or incident. We try to make the best medical judgement on that and get them the care they need, and part of that means sometimes we need to fly them out,” Fowler said. Air Evac EMS is the largest privately owned air medical evacuation company in the country, according to Greg Dampier, program director for Air Evac Lifeteam in Cordele and Tifton. The company was started in West Plains Missouri in 1985. There are 130 bases in 15 states, with 10 Air Evac bases currently located around Georgia. “We discovered a need between our Cordele base and our Douglas base. There was a substantial need for emergency transport here because we’re so far from any trauma centers,” Dampier said. The closest level two trauma center is in Thomasville and the closest level one in Macon. Level one trauma centers have a full time staff and level two trauma centers have on call staff. The purpose of air lifting a patient is to get them to a facility that can handle whatever medical emergency they have within the golden hour, which increases the patient’s chances of recovery. The brand new helicopter is essentially “a flying ER/ICU,” said Dampier, and carries one patient. “It has the most state of the art ventilators, cardiac monitors, radios. The medication inventory it carries rivals any ER or ICU in the area,” said Dampier. In addition to the pilot, it carries a critical care nurse and a critical care paramedic on every flight. Air Evac has a membership program. An annual $65 fee covers an entire household for one year, and any member of the household that is airlifted will not be charged for the flight beyond what their insurance pays. “It’s one of the things Air Evac prides itself on besides quality patient care, trying to help people and work with people during a traumatic time in their lives,” said Dampier. MYRTLE BEACH, SC (WBTW) – A man was arrested Saturday after throwing an object at the TSA area, causing a shutdown of operations. According to Horry County Police Lt. Raul Denis, 47 year old Henry Meade was driving the wrong way on the airport road with a blown tire. Lt. Denis said he made it to the terminal where he threw the object, which was found to be a speaker. Meade was arrested and normal airport operations resumed. He is charged with public disorderly conduct, public intoxication, reckless driving, and possession of less than one gram of ice, crank, or crack cocaine. 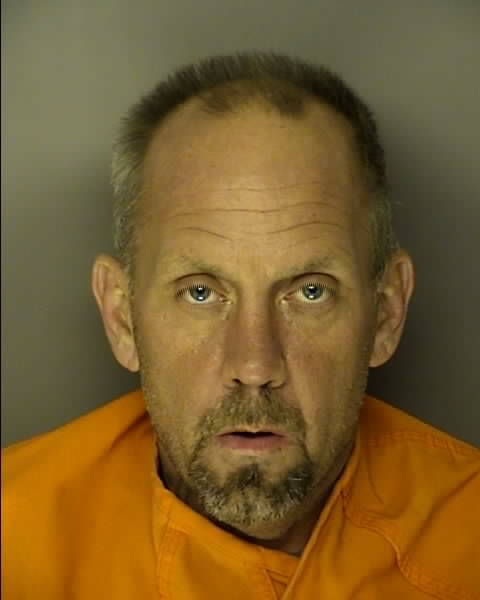 Meade is being held at J. Reuben Long Detention Center under a $10,695 bond. 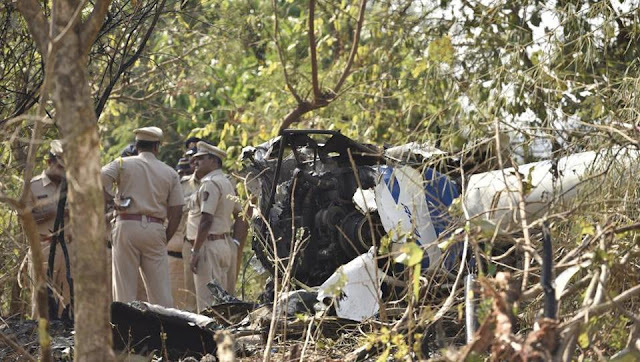 MUMBAI: Two weeks after a helicopter joyride ended in a crash, claiming the lives of the pilot and a Borivli couple, Aarey police are yet to file a case as they are awaiting the final probe report from the Directorate General of Civil Aviation (DGCA). Police have only made a diary entry of the incident. But, in all likelihood, the report is likely to take at least a year and hence, compensation to the deceased couple's family, including his two-year-old son, may be delayed. On December 11, the helicopter, owned by Aman Aviation and Aerospace Solutions Pvt Ltd, crashed in Aarey Colony within four minutes of takeoff. The pilot died before reaching hospital. Borivli resident Ritesh died two days later and his wife Brinda on Saturday. "The Aircraft Accident Investigation Bureau, that is probing the crash, could submit the report within a year, but there have also been instances of the report not being published even after four-five years. But in this case, I don't think there would be that kind of delay," said a senior DGCA officer. "Even the aircraft operator is awaiting the report to seek insurance." This is not a one-off case of DGCA probe report delay. The Sahar police are yet to file an FIR in the case of Air India aircraft technician, Ravi Subramanian, being sucked into the engine of an aircraft at city airport. The incident took place in December 2015, but police are still awaiting the DGCA report. According to International Civil Aviation Organization Annex 13, which lays down guidelines for aircraft accident probe, a preliminary report should be ready within 30 days of the accident and final report within a year. But these norms don't apply to light aircraft, such as the Robinson 44 that was involved in the December 11 crash. 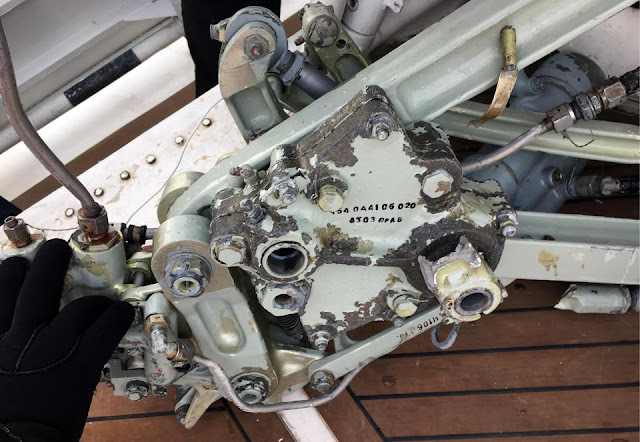 "Being a light aircraft, the helicopter didn't have a cockpit voice recorder or a digital flight data recorder. But an aircraft technician survived the crash, that should help with the probe," said a helicopter pilot. On Sunday, as Modis' family members were preparing for Brinda's prayer meeting on Monday, they expressed concern about the lack of response from any governmental agency as insurance payoffs that would help the deceased couple's two-year-old son will not be available till the paperwork is done. "But our greatest worry is that the company is still offering helicopter joyrides," said a relative. "How is the firm allowed to operate aircraft without a check?" While officials from Aman Aviation refused comment, an airport official said, on December 18, the firm operated a flight with a Robinson 44 helicopter with three passengers on board. "The aircraft took off from Juhu airport, overflew Esselworld and returned," said the official. It also operated a few test flights. "An aircraft operator is asked to stop operations only if investigations reveal that the accident was caused because of a deficiency or shortfall on its part," said an expert. 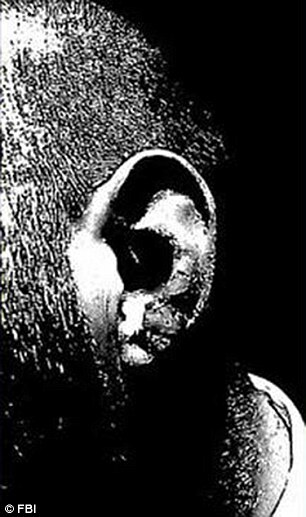 This is a flight attendant's bloodied ear after he was allegedly bitten by drunk passenger Jonah Cayle Snow on a flight to San Francisco on December 21, 2016. Authorities say that Jonah Cayle Snow and his girlfriend, Nikki Zeebregts, were drunk and disorderly on the flight, and had to be separated and restrained and Snow bit a flight attendant's ear. SAN FRANCISCO INTERNATIONAL AIRPORT — A former Bay Area man is accused in federal court of biting a flight attendant’s ear during a drunken fit on a flight from Amsterdam to San Francisco International Airport. Jonah Cayle Snow attacked two male flight attendants on Wednesday after he was approached for smoking a cigarette and drinking alcohol in his seat, the FBI said in federal court documents. 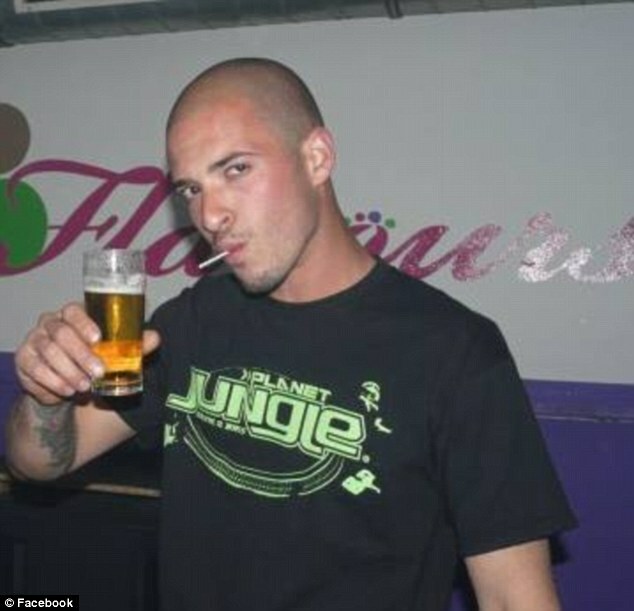 Snow and his girlfriend Nikki Zeebregts were only allowed on KLM Royal Dutch Airlines flight 605 on Wednesday after agreeing that they would not be served alcohol while aboard. KLM officials had advised the crew not to serve the couple because of how drunk they were on their previous flight from Dussledorf to Amsterdam that day, FBI Special Agent David F. Peacock wrote in a sworn affidavit filed Wednesday. The U.S. Attorney’s Office charged Snow on Thursday with one count of “interference with flight crew members and attendants,” punishable by up to 20 years in prison and a $250,000 fine. Snow was in custody when he made his first court appearance before a federal judge in San Francisco on Thursday, but he’s since been released on a $25,000 bond, according to court records. His federal public defender could not be reached for comment on Friday. Snow is scheduled to return to court for arraignment and preliminary hearing on Jan. 12. Snow’s Facebook page identifies him as a Santa Rosa native, a former student at Aragon High School in San Mateo, and a current resident of Roermond, a city in Limburg in The Netherlands. He says he works at a roofing company. His girlfriend lists herself as a tattoo artist from The Netherlands. She was not charged with any crime related to Wednesday’s incident. Trouble began about halfway through the 11-hour flight when flight attendants separated the couple for having a disruptive fight and brought Zeebregts to the rear of the plane “to calm down,” Peacock wrote. One of the attendants received the brunt of the abuse, including a bite to the ear, Peacock wrote. Upon the flight’s arrival at SFO, he was taken to the hospital and Snow was placed under arrest. The court documents do not say how the tussle resolved but notes that once Snow was subdued, a female flight attendant had to sit next to him for the remainder of the flight to try to keep him calm. KLM Royal Dutch Airlines said no passengers were injured. “KLM’s number one priority is the safety and security of its passengers and they were not affected by the incident,” the airline said in a statement Friday. The pilot reported that during the landing touchdown, there were "two small bounces" and then the airplane bounced a third time "hard." The pilot further reported that he was able to taxi the airplane onto a taxiway and subsequently shutdown the engine. The pilot's incorrect pitch control during the landing flare, which resulted in a porpoise and hard landing. A U.S. air-safety watchdog is investigating an accident during the first flight of a Facebook Inc. drone designed to extend internet access. The giant drone, called Aquila, experienced a “structural failure” while approaching Yuma, Ariz. during a test flight on June 28, according to a spokesman for the National Transportation Safety Board. There were no injuries, but the drone was “substantially damaged” and the damage “compromised the airworthiness of the aircraft,” the spokesman said. A Facebook spokeswoman declined to share details about the damage or cause of the failure ahead of the NTSB’s report. A spokeswoman said Facebook viewed the Aquila test flight a success. “We have already learned a lot from the results of this flight test and will continue to learn from all the future flight tests we plan to run,” she said. The NTSB, whose primary function is to probe accidents, plans to release a more detailed report on the accident within the next two months. Bloomberg first reported on the accident Monday. The incident is the latest snag in Facebook’s broader push to boost global internet availability through its Internet.org initiative. In September, a Facebook satellite was destroyed on the launchpad during a t est of the Falcon 9 rocket designed by Elon Musk’s Space Exploration Technologies Corp., or SpaceX. In February, India’s telecommunications regulator banned a Facebook service that offered unlimited access to a limited number of websites. Eventually, Facebook hopes to build a fleet of high-altitude, solar-powered Aquila drones that can beam broadband access to the 1.6 billion people that live in areas that don’t have access to a mobile network today. The Aquila drone weighs less than a 1,000 pounds and has a 138-foot wingspan, larger than a Boeing 737 single-aisle plane. 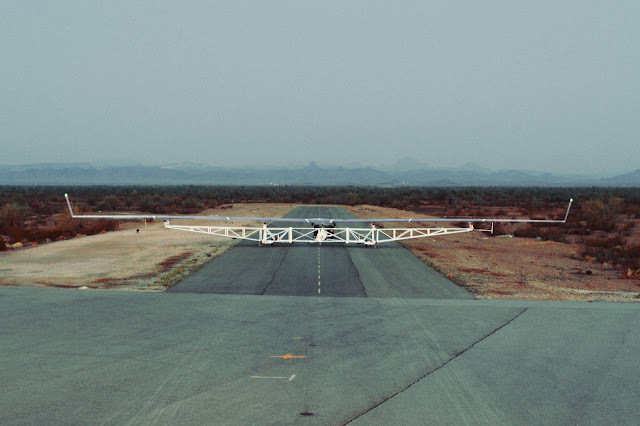 Facebook expects the drone to stay aloft for 90 days at a time. Facebook previously said that Aquila’s flight lasted 96 minutes, more than an hour longer than planned. The accident occurred at 7:43 a.m. local time, according to the NTSB. The Federal Aviation Administration authorizes such experimental drones to fly only in specific designated areas, isolated from manned aircraft. The agency is currently working on regulations addressing commercial uses of small drones, 55 pounds or less, at altitudes below 400 feet. Rules covering larger drones weighing hundreds of pounds or more -- and designed to operate at much higher altitudes -- are years away despite strong industry pressure for faster federal action. —Andy Pasztor contributed to this article. Hawaii Island tourism numbers are approaching a record high thanks to an ongoing shift in arrivals from cruise ships to airlines. Total tourist arrivals to the island peaked in 2007, said Ross Birch, executive director of the Island of Hawaii Visitors Bureau. A total of 1,622,359 visitors came to the Big Island that year. Numbers fell during the recession, but have been on the rise the past few years. “We’re approaching our all-time high in arrivals,” Birch said. Between 2011 and 2015, air arrivals increased 12.3 percent. At the same time, however, arrivals by cruise ship have fallen. “Going into (2016), we were about 60 percent down from cruise ship arrivals over that peak year,” Birch said. Statewide, 220,516 cruise ship passengers visited Hawaii in 2016, according to numbers from the Hawaii Tourism Authority. The number is a drop of 8.9 percent from 2015, but booking forecasts project a slight rebound in the future. Minh-Chau Chun, tourism research manager for the HTA, said that preliminary 2017 cruise estimates put numbers at about the same as 2015. The drop in passengers also is due in part to the monthlong dry-docking of the 2,250-passenger Pride of America, owned by Norwegian Cruise Lines. The Pride of America is a domestic-registered ship with a home port in Honolulu. It is scheduled to make port 52 times in Hilo next year. A new booking system for cruise ships was put in place by the state Department of Transportation about a year ago, which is expected to increase numbers by making scheduling port arrivals easier. “Overall, cruise ships have been one of those things that goes in cycles,” Birch said. Most air traffic to the Big Island arrives in Kona. Birch said 2 1/2 years ago, the airport had 650,000 direct seats. “We’re now going to hit 900,000,” he said. A new international route between Kona and Tokyo’s Haneda airport had its inaugural flight Tuesday. The Tokyo route is one of three new routes added to Kona just this month. A weekly route to Bellingham, Wash., also began flights, as did a direct flight to Dallas-Fort Worth. The Dallas-Forth Worth flight will arrive daily during the holidays before stopping in mid-January and restarting for March spring break. Such is the case with the lone direct mainland route from Hilo. That route is run by United Airlines and goes to Los Angeles. It, too, has seen increases in traffic in the past year. According to the most recent HTA seat outlook, bookings for December 2016 to February 2017 were up 7.4 percent over the same time period last year. “United Airlines has been very diligent on their part for adjusting their flights to the demand,” Birch said. Two years ago, he said, the airline was running just three flights per week. In the past year, that number increased to five flights per week. This summer, there were seven flights per week. Birch said he met with his staff after the Tokyo inaugural flight to reflect on the latest route addition. “We help provide an arrival experience for all these inaugural flights that are coming, and we’re looking at each other going, ‘Man, it’s been a busy couple of years,’” he said. The Kankakee Valley Airport Authority met Sept. 12 to renew a flight school lease. The authority oversees operations at the Greater Kankakee Airport. Call to Order: The regular meeting for the month of September of the Board of Commissioners of the Kankakee Valley Airport Authority was called to order at 5:01 p.m. on Monday September 12, 2016 in the Board Room of the Robert B. Glade Terminal Building at the Greater Kankakee Airport, Kankakee, Illinois. Present: Commissioners Wilder, Payne, Jacobi, and Kuntz. Also present: Jeff Benoit, Airport Manager, Pamela A. Rose, Airport Office Manager, Gary Ratcliff, Line Service Supervisor. Visitors: Mr. Ron Wright, LTC Jason Osberg, CW2 Kurt Hannemann, Ms. Carmen Huizenga, CPA, of Smith, Koelling, Dykstra & Ohm, P.C., Mr. David Kurtz of Benoit Aerial Spraying. Absent: Commissioners Langlois, Glade, and Attorney Donahue. A quorum was present. Minutes – June 13, 2016: The minutes from the regular monthly meeting on June 13, 2016 were reviewed. A motion was made by Commissioner Payne and seconded by Commissioner Jacobi to accept the minutes as presented. All in favor say aye. Nays: none. Motion carried. Minutes – August 8, 2016: The minutes from the regular monthly meeting on August 8, 2016 were reviewed. A motion was made by Commissioner Jacobi and seconded by Commissioner Payne to accept the minutes as presented. All in favor say aye. Nays: none. Motion carried. Public Comment: There was none at this time. • Auditor’s Report FY 2015 – 2016: Carmen Huizenga, CPA, from Smith, Koelling, Dykstra & Ohm, P.C. presented and discussed the audit report and letters to the board members. The report to the State of Illinois will be completed soon. A motion was made by Commissioner Payne and seconded by Commissioner Kuntz to accept the 2015 – 2016 FY Audit Report as presented. • General Fund: After a brief discussion a motion was made by Commissioner Payne and seconded by Commissioner Jacobi to approve the 2016 – 2017 General Fund Operating Budget as presented after amending the Farm Rent from $145,500 to $151,800. On roll call the following voted aye: Commissioners Wilder, Payne, Jacobi, and Kuntz. Nays: none. Motion carried. • Elite Flight School Training Lease: Jeff Benoit presented a letter of interest to renew the current lease for two years, ending December 31, 2018. Commissioner Jacobi motioned and seconded by Commissioner Kuntz to approve the motion as presented. All in favor say aye, Nays: none. Motion passes. • Fire Inspection Report: Jeff Benoit reported the update on the fire extinguishers. • Late Fees: Jeff Benoit discussed late fees on the current bills. A brief discussion followed. • Ian Fleming – Oct. 22, 2016: Jeff Benoit discussed the upcoming event with Shilly Shack by Zanta. The event is from 9:00 am – 3:00 pm and several vehicles will be on display by the maintenance shop area. Bills Presented: The bills were presented to the board for August 9 – September 12, 2016 in the amount of $ 94,983.31. Commissioner Kuntz moved and seconded by Commissioner Jacobi to approve the bills be paid. On roll call the following voted aye: Commissioners Wilder, Payne, Jacobi and Kuntz. Nays: none. Motion carried. Accounts Receivable: Jeff Benoit reported on the status of the Accounts Receivables. Financial Statements: Commissioner Payne discussed the monthly financial report. • National Guard Update: LTC Jason Osberg, Mr. Ron Wright, and CW2 Kurt Hannemann, Maintenance Officer discussed the update and timeline of the National Guard Buildings and move in dates. • Benoit Aerial Spraying: Mr. David Kurtz presented an update and provided drawings of his buildings for board approval. The next step is to gather information for a lease and meet with the FAA to complete required paperwork. Executive Session: It was moved by Commissioner Jacobi and seconded by Commissioner Payne to move to executive session. All in favor say aye. Nays: none. Motion carried. It was moved by Commissioner Jacobi and seconded by Commissioner Payne to move to open session. All in favor say aye. Nays: none. Motion carried. During executive session there was a brief discussion of negotiation parameters on pending litigation and claim. No decision was made at this time. Open Discussion: There was none at this time. Next Meeting: Monday October 10, 2016 at 5:00 pm. Adjournment: There being no further business, a motion was made by Commissioner Payne and seconded by Commissioner Kuntz to adjourn the meeting at 6:44pm. FAIRBANKS — Starting next year, airlines landing their planes after hours at rural Alaska airports could find themselves footing the bill for overtime pay. The state Department of Transportation is working with airlines on the pending change caused by budget cuts, Deputy Commissioner John Binder said Thursday. “With the budget cuts, we’ve had our overtime budget essentially zeroed out,” he said. Binder said the change is driven largely because the Department of Transportation’s state general fund budget has been cut by some 22 percent during the past two years, and overtime at state-owned rural airports is one of the many cuts. He said every state-owned airport outside Fairbanks International Airport and Ted Stevens Anchorage International Airport will be affected by the changes. For the most part, Binder said, the Department of Transportation is working with airlines to adjust each airport’s operating hours or rework flight schedules to avoid overtime. In cases where the airlines can’t work out a schedule within the budgeted hours, he said the department is working on what a fair fee structure would be. He said it will depend on what kind of planes are landing, the locations and the schedules. He said larger aircraft, for example, require greater safety measures and more carefully maintained runways than smaller aircraft. Wright Air Service Director of Operations Ken Michaelis said it won’t affect that airline’s operations. “We put everything to bed by 6 o’clock here,” he said. The change is unlikely to affect most flights to rural Interior Alaska, said Warbelow’s Air Ventures co-owner Matt Atkinson, because most flights in the Interior occur during regular daytime hours. Atkinson is also the president of the industry group Alaska Air Carriers Association, and from that perspective he said he’s concerned just how the potential fees for after-hour flights will be determined so they’re fair across the board. “I certainly understand the need to generate revenue and I think it’s appropriate to have the users of those services pay for those services, but the actual billing and execution of that would be pretty difficult,” he said. Binder said the regulations are still in the works and likely will be put out for public comment in the first half of 2017. He said the regulations probably would go into place around the start of the 2018 fiscal year, which starts July 2017. Norfolk International Airport is on an 18-month streak of year-over-year passenger growth, largely thanks to more flights and greater seat availability. The airport had nearly 3 million passengers through November, compared with 2.8 million through the same time in 2015, a 5.9 percent increase. But will the trend continue in 2017? "It's hard to say what will happen," said Charlie Braden, director of market development for the airport. "We focus just as much on retaining what service we have as trying to attract new service." For now, airport officials will enjoy the mini-bump in traffic after a precipitous drop because of federal budget cuts known as sequestration and a rough economy. Passenger volume fell 21 percent between 2005 and 2015, a trend mirrored at other medium-hub airports. For the past decade, airlines have eschewed direct flights, increasingly relying on a spoke-and-hub system that sends passengers to a major hub like Chicago, Atlanta or Charlotte en route to their final destination. That model has hurt airports like Norfolk. There are also fewer airlines and fewer small planes that facilitate lower-volume direct routes. The recent uptick in traffic began in June 2015. Seat availability out of Norfolk has increased nearly 11 percent since then. Delta, United, Southwest and American airlines all added more service from Norfolk this year, including seasonal routes to Denver, Tampa and Minneapolis. They also added more frequent flights to destinations such as Baltimore, New York and Chicago. Passengers have filled more than half of that new available capacity. But Braden is realistic about 2017. "We’re feeling good," he said, "but we don't see that same double-digit percent increase in capacity (happening in 2017)." Most airline observers are predicting conservative growth systemwide, Braden said – likely less than 1 percent. Of course, the other unknown variable is what a Trump administration could do for local air travel. Will increased defense spending and no threats of sequestration for the military mean more air travel into and out of Norfolk? "That always gives us a shot in the arm," Braden said. Richmond International Airport – the nearest comparable airport to Norfolk – has seen year-over-year passenger growth in 31 of the past 33 months. November passenger traffic there tallied 301,305, compared with Norfolk's 266,639. Richmond had 3.3 million passengers so far this year, compared to Norfolk's 3 million. 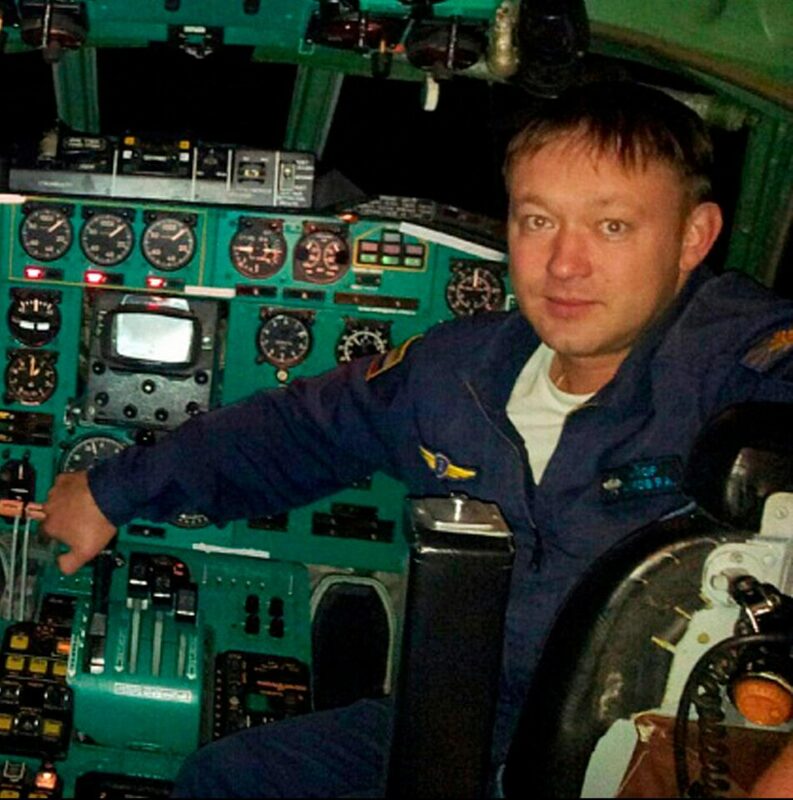 This is the first picture of pilot Roman Volkov, 35, who was at the controls of the Russian military Tu-154 when it crashed into the Black Sea. 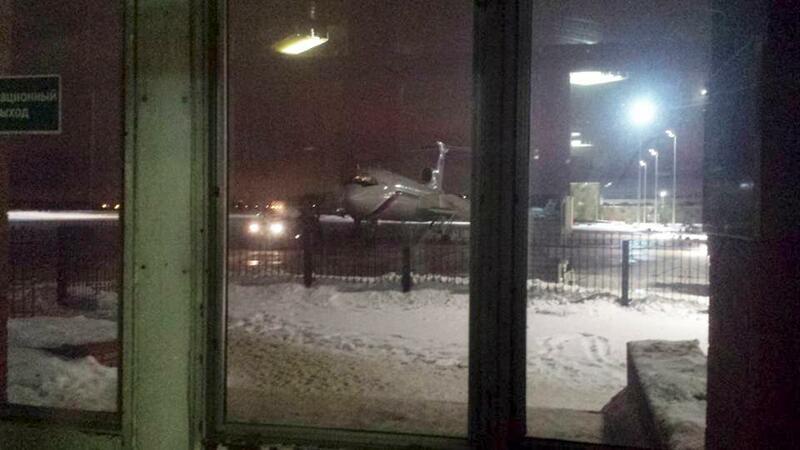 The Kremlin says the experienced pilot could have been to blame for the deadly crash. 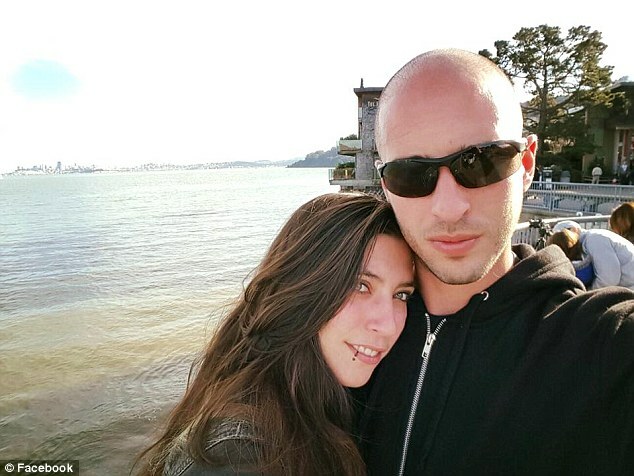 Friends said the father-of-three lived for his job and had flown to Syria many times before. 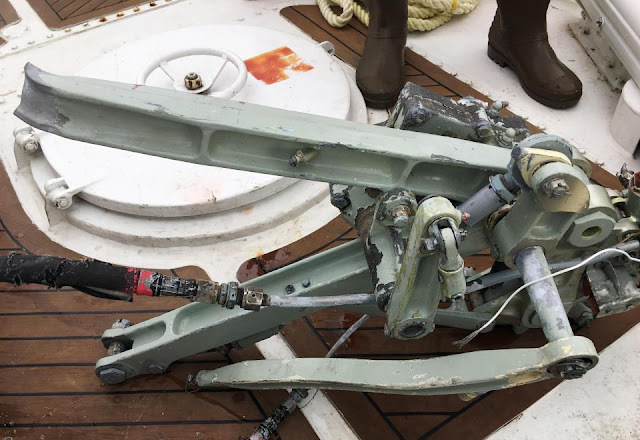 Wreckage suspected to be from the crashed aircraft is pictured on board a rescue boat. This is the last known photograph of the doomed Tupolev 154B-2 plane, pictured at a Moscow airport before it left for Sochi. MOSCOW—Russia’s transportation minister Maxim Sokolov on Monday ruled out a terrorist attack as the likely cause of the crash of a Russian military plane in southern Russia that killed 92 people. Russian President Vladimir Putin instructed Prime Minister Dmitry Medvedev to oversee a commission to investigate the causes of the crash of the Tu-154 passenger jet, which went down Sunday in the Black Sea not far from the city of Sochi. 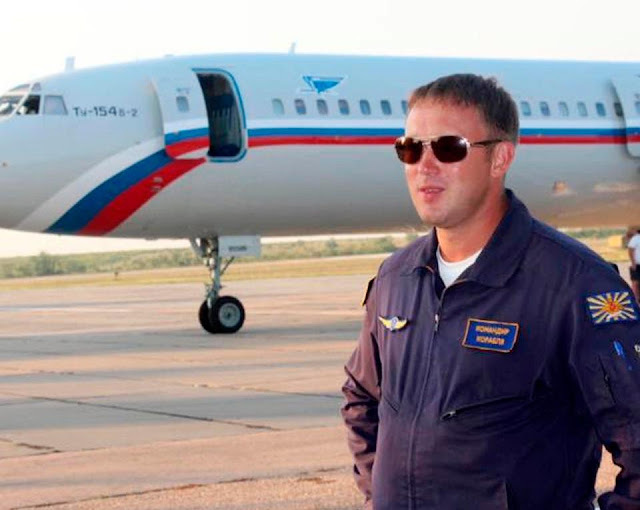 The crash claimed the lives of over 60 members of the Alexandrov Ensemble, an official army performing group that was flying to Syria to entertain Russian troops. Mr. Sokolov said aviation experts and the Investigative Committee, Russia’s main investigative body, would continue to probe the causes of the disaster. The transportation minister reported the first findings of the commission investigating the crash to Mr. Medvedev on Monday. Russia on Monday observed an official day of mourning, with residents of Moscow and other cities leaving flowers at impromptu memorials to commemorate the victims. Recovery operations were still under way, with parts of the plane’s fuselage submerged underwater. 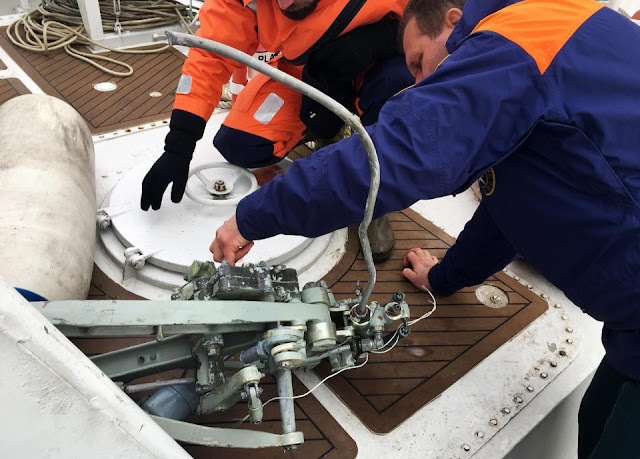 Pavel Popov, a Russian deputy defense minister, said 11 bodies and 154 fragments of the plane were recovered in the first 24 hours of the recovery operation. The Russian military said 45 ships, five helicopters and drones were taking part in the operation. 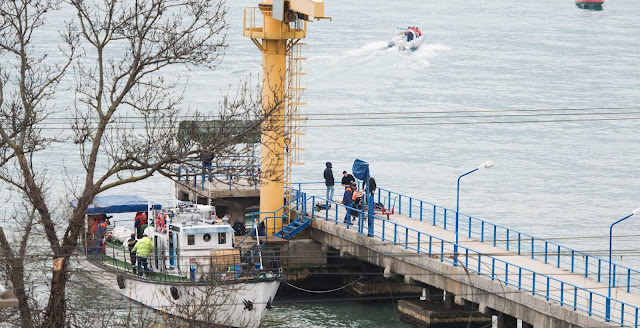 “I think today is the day when we will be able to to locate the plane at the bottom of the Black Sea,” Viktor Bondarev, chief commander of Russian Aerospace forces, said Monday, according to the news agency Interfax. 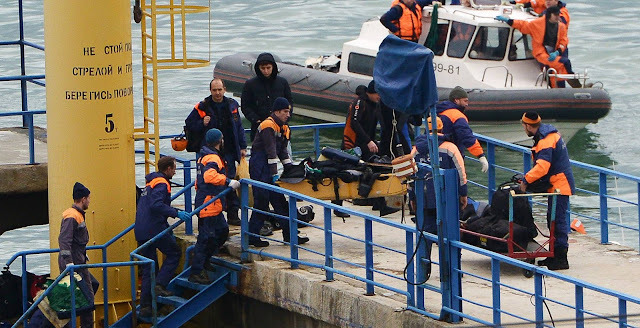 Mr. Bondarev said that the plane’s flight recorder or “black box” was located in the tail of the plane and likely intact, as it appeared the plane hit the water with the bottom of its fuselage, Interfax said. The majority of the bodies are likely still inside the plane, said Veniamin Kondratyev, the governor of the region where the crash happened. On Monday Moscow medical examiners began collecting samples from the families of the victims for genetic testing to identify crash victims, Interfax reported. The loss of the members of the popular military ensemble, known outside Russia as the Red Army Choir, prompted an emotional outpouring. 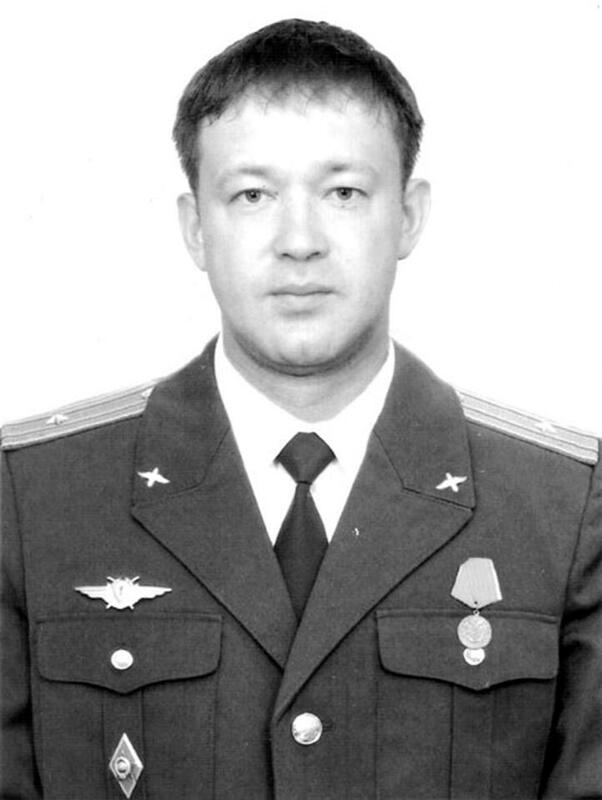 The defense ministry ordered that the Moscow military music academy be named after Lt. Gen. Valery Khalilov, who headed the Alexandrov Ensemble and who died in the crash. Yelizaveta Glinka, a renowned Russian doctor and philanthropist known as Dr. Liza, was also on board the aircraft. The mayor of Yekaterinburg proposed that a palliative care unit of a local hospital be named after her. There’s Coke and Diet Coke, 13 kinds of Cheerios and an endless variety of toothpaste. And now, airplane cabins are being customized, too. Delta Air Lines is plunging deep into segmentation, industry parlance for dividing an aircraft into multiple fare levels that offer different perks and restrictions. 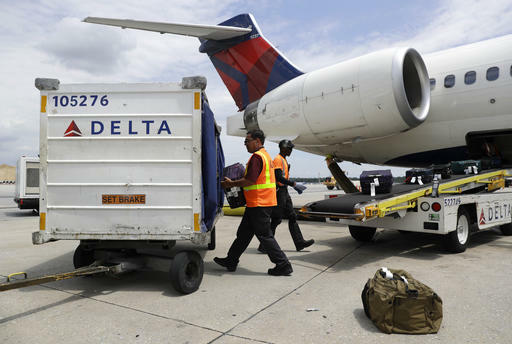 It’s an attempt by Delta and other major carriers to capture a wider swath of customers with varying priorities and preferences, or win back price-sensitive travelers lost to low-cost and ultra-low-cost carriers like Spirit and Frontier. While airlines have long offered separate first-class and coach cabins, this trend is about selling experiences. These incremental differences between tiers can add up to more revenue and profit. These segments, now bearing branded names like “basic economy” and “premium select” and “Delta One,” have been popping up in recent years. But with 2017 shaping up to be the year segmentation becomes commonplace, customers will need to educate themselves on the sometimes subtle differences before booking a flight. And airlines will have to get better at explaining each tier’s value. It’s the new business model for the major U.S. airlines, which are still adjusting to this new, and relatively stable, era in the industry. The turn of the century ushered in a time of crisis for airlines — first with the 9/11 terrorist attacks that squelched air travel, then with rising fuel prices and finally with scads of bankruptcies. While that era left some psychological scars, the airline industry has stabilized and reinvented itself. The consolidation of the largest carriers created opportunity for smaller, ultra-low-cost carriers, which attracted customers who couldn’t afford to frequently travel by plane. These carriers charge a low base fare and get a larger percentage of revenue from add-on fees for baggage, food and roomier seats. Those fees drew criticism initially, but more people are flying low-cost airlines than ever and many now know to read the fine print. Bastian said in an interview that Delta’s pricing and marketing has not been terribly sophisticated. But with passengers acclimating to the new pay-as-you-go model, Delta and other large airlines are implementing their own version. At Delta, the addition of basic economy and premium select are the two biggest changes customers will see. Delta was the first of the major U.S. carriers to roll out basic economy, which gives passengers a seat in the main cabin (that cannot be selected in advance) but still comes with complimentary nonalcoholic beverages and snacks. 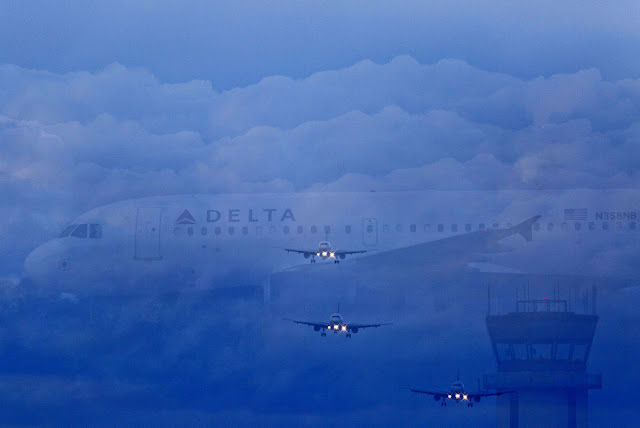 The ticket price is meant to compete with the ultra-low-cost carriers, but Delta believes it has a value proposition those competitors can’t match. Basic economy will grow from 38 percent of its domestic market in 2016 to 100 percent in early 2017. It will appear on international flights in 2017 and 2018. Premium economy — or as Delta calls it, premium select — will roll out next fall on certain international long-haul flights. This new cabin class seeks to bridge the chasm between the main cabin and business class. In addition to bigger seats with greater recline, this tier includes a higher level of in-flight customer service and more luxurious bedding and food service. The top tier, Delta One, includes lie-flat beds and, soon, sleeping pods with a door. The domestic equivalent to premium select is Delta’s first class. The airline has signaled it is likely it will eventually replace its domestic first class with premium select. As the airline transitions its reservation systems and airplanes to be compatible with these new segments, the company’s explanations to customers will need to improve. Analyst Harteveldt said the airlines face “legitimate market challenges” as they try to make customers understand the segments.